PIB India Periscope User Stats This is PIB Indias periscope stats website page. This is PIB Indias periscope stats website page. PIB India created profile on 2015-11-16 Time 11:49:24 and last update profile time is . PIB India total followers is 2535 and PIB India total following is 0 . 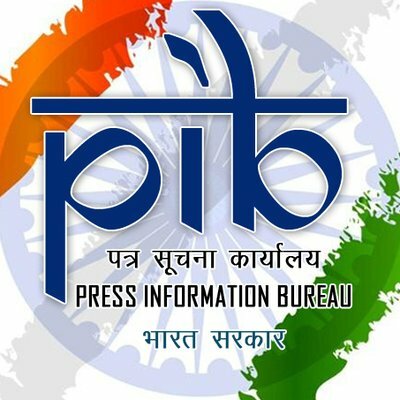 PIB India twitter nickname is PIB_India. Watch LIVE: Union Minister @rsprasad briefs #cabinet at Shastri Bhawan. LIVE Now: Union Minister @Ra_THORe launches "Sharing of All India #RadioNews with Private FM Broadcasters"
LIVE 📽️: Union Minister @PrakashJavdekar briefs media on key initiatives of @HRDMinistry during 4 years of govt. LIVE 📡: Union Minister @HarsimratBadal briefs media on key initiatives during 4 years of the govt.